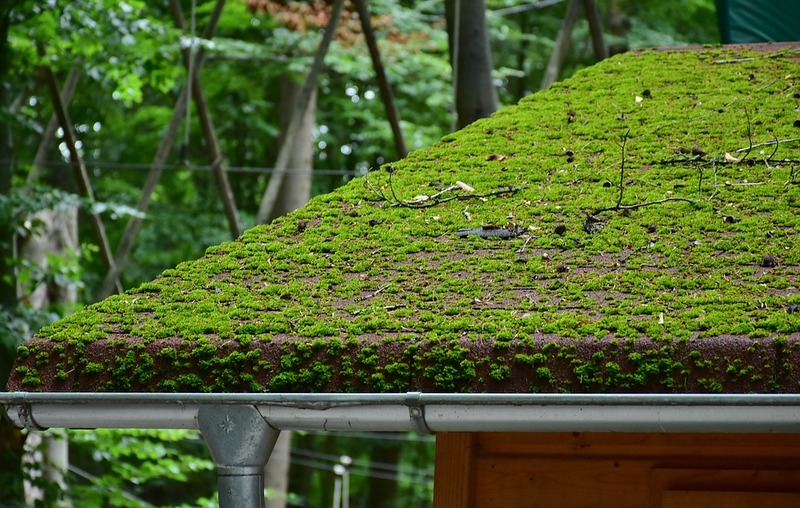 With humidity on the rise, it’s no wonder homeowners are finding themselves struggling with the growth of “moisture monsters”- moss and lichen- on their roofs. With our guide, learn the difference between moss and lichen, their effects on your asphalt shingles, and DIY remedies to rid your roof of both the pesky plant and rampant fungus. Lichen is a combination of algae and fungus, usually appearing as light-green, mint colored splotches. 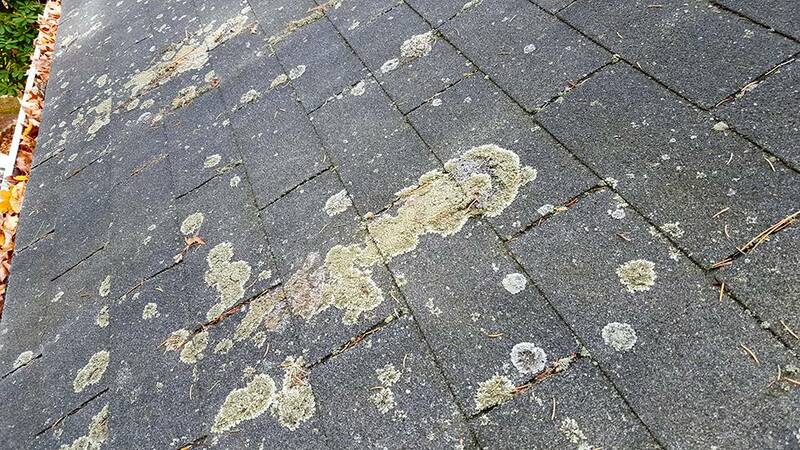 While Lichen doesn’t trap as much moisture as moss, it can be highly acidic, and just as damaging to your roof. Moss, a thicker dark-green plant, holds more water than lichen and tends to grip your shingles, which can make it far more difficult to remove. There are several products on the market specifically aimed at targeting the growth of moss and lichen on residential roofs. 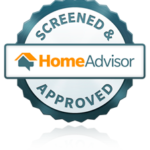 Be sure to research the product of your choice, read over unbiased reviews and determine whether the product fits your needs and specific roofing material. Wet & Forget – a spray-on product for removing moss, mold, and mildew. Bayer 2-in-1 Moss and Algae Killer – a potassium soap of fatty acids and inert ingredients that you mix with water and then spray on. Moss B Ware – a 99 percent zinc sulfate monohydrate powder that can be applied dry or mixed with water. If you prefer a more natural and environmentally-friendly remedy, consider using distilled white vinegar. Begin by brushing off leaves, twigs, and any other debris on your roof. Using a stiff brush, gently brush off loose patches of moss and lichen. Pour a mixture of dish soap and distilled white vinegar into a spray bottle and apply the mixture to all areas affected by moss or lichen. After waiting a few days, use a stiff brush to remove all the dead lichen and moss, and gently hose down your roof. Note: Avoid using a power washer. Using a power washer can severely damage your shingles and your roof’s integrity. Looking for a reputable roofing company in Northern Virginia or Maryland? Call us for a Free roof inspection.